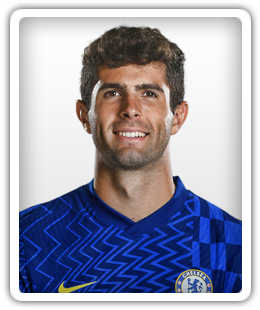 Pulisic is back on loan at Borussia Dortmund having signed for Chelsea in the January transfer window. Most clubs did not feel the need to spend big on new players. Gonzalo Higuain's arrival at Chelsea caused the biggest stir. Real Madrid are reportedly told by Chelsea to pay more than £100m if they are to sign Eden Hazard in the summer. The 20-year-old United States international returned to previous club Borussia Dortmund on loan. The American will remain at Borussia Dortmund on loan until the end of the season. Bayern Munich reportedly make a £30m offer for Chelsea attacker Callum Hudson-Odoi. German football journalist Raphael Honigstein claims that Liverpool and Manchester United both showed an interest in Christian Pulisic before the attacker joined Chelsea. John Harkes became a trailblazer for USA players in England when he joined Sheffield Wednesday in 1990. The American will spend the rest of the season on loan at Dortmund. Chelsea head coach Maurizio Sarri says that he is open to signing a new winger during the January transfer window. A report claims that Isco's proposed move to Chelsea is off after the Spanish attacker demanded more money, despite the Blues agreeing to splash out on signing-on fees. Eddie Johnson says that he "can't wait" to see Christian Pulisic play alongside Eden Hazard after appearing to confirm the attacker's move to Chelsea. Liverpool are at the front of the queue to sign Borussia Dortmund ace Christian Pulisic after tabling a £45m offer, according to a report. Liverpool and Chelsea are reportedly handed a boost in their pursuit of Borussia Dortmund winger Christian Pulisic as Bayern Munich pull out of the race for his signature. Liverpool closer to deal for Borussia Dortmund winger Christian Pulisic? Liverpool appear to have moved closer to tying up a future deal for Borussia Dortmund's Christian Pulisic after bookmakers significantly shortened odds over a move. Callum Hudson-Odoi's Chelsea future is in doubt ahead of the January arrival of Christian Pulisic from Borussia Dortmund, according to a report. A report claims that Borussia Dortmund attacker Christian Pulisic is on his way to Chelsea in a £60m transfer, with confirmation expected imminently. A report claims that Chelsea have made an official offer to sign Christian Pulisic, who is valued at £70m by Borussia Dortmund. Chelsea will reportedly attempt to negotiate down Christian Pulisic's £80m transfer valuation as talks with Borussia Dortmund progress. Chelsea are reportedly ready to agree a £70m deal for Borussia Dortmund attacker Christian Pulisic, but may have to wait until next summer before he joins the club. Borussia Dortmund winger Christian Pulisic heaps praise on Liverpool boss Jurgen Klopp, who is said to be keen on signing the United States international. Liverpool boss Jurgen Klopp is baffled by suggestions that Fabinho could leave the club in January, according to a report. Juventus defender Alex Sandro is one of four players being targeted by Chelsea ahead of the January transfer window, according to a report. Liverpool could reportedly fund the signing of Borussia Dortmund winger Christian Pulisic by selling midfielder Fabinho. Chelsea reportedly win the race to sign Borussia Dortmund's highly-rated attacker Christian Pulisic. England record a 3-0 win over USA at Wembley as the nation's all-time record goalscorer Wayne Rooney says goodbye to the Three Lions for the final time. Chelsea are reportedly leading the race to sign Christian Pulisic after the Borussia Dortmund attacker hinted that he would like to play in the Premier League. The Borussia Dortmund midfielder is a big fan of the teenager. Sports Mole looks at how Borussia Dortmund could line up in Saturday's Bundesliga clash with Bayern Munich. Liverpool to sign Borussia Dortmund winger Christian Pulisic on future deal? Liverpool could allegedly target a deal where they would sign Borussia Dortmund winger Christian Pulisic in 2019.